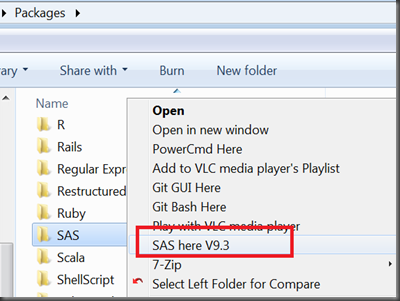 click icon A then you get a SAS session titled “Project A” (you may notice your SAS session with title “SAS” by default). 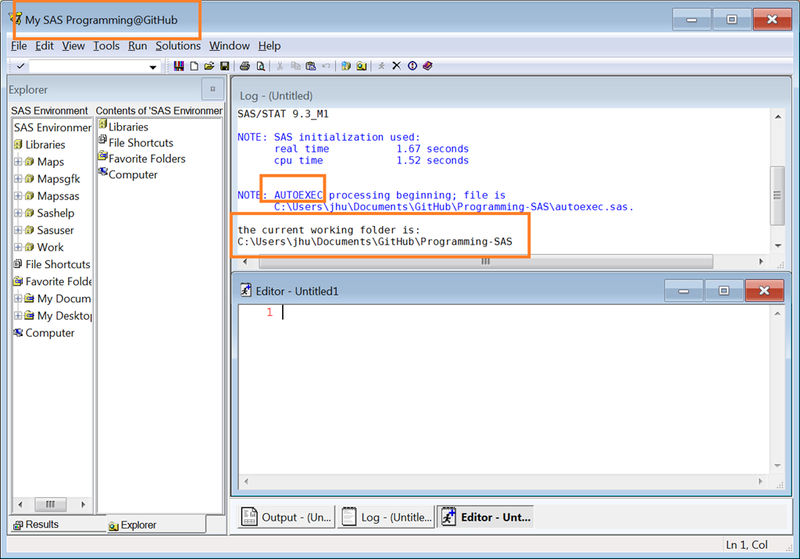 In this session, the current working folder is just where you put Project A (the default may be like C:usersyourID). Also, some autoexec codes run including libname, fileref, formats search, macro loading and other customized options/settings. NOTE: Unable to open SASUSER.REGSTRY. WORK.REGSTRY will be opened instead. NOTE: All registry changes will be lost at the end of the session. WARNING: you will not see registry customizations during this session. 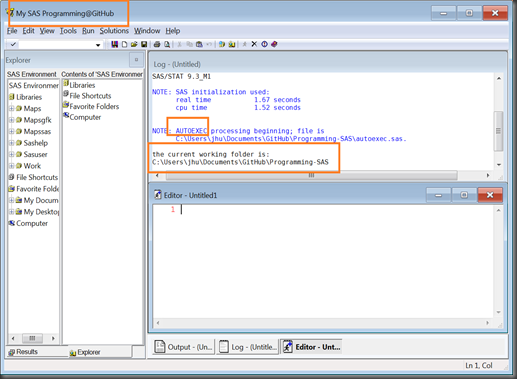 From C:\Users\jhu\Documents\My SAS Files\9.3, copy user profile file profile.sas7bcat to the project folder. This is used to prevent the annoying message above. 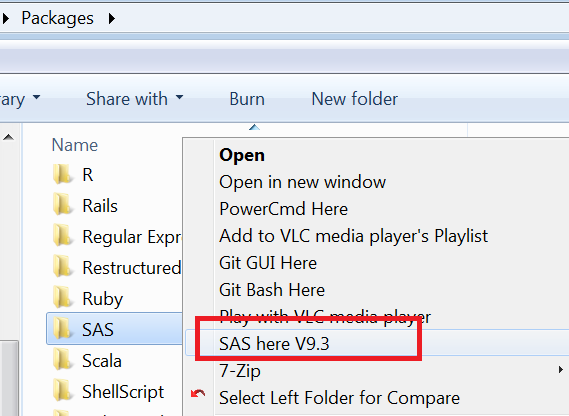 Send C:\Program Files\SASHome\SASFoundation\9.3\sas.exe to a desktop shortcut (I renamed it as “GitHub”).